If you're preparing for a family holiday to Australia you may want to arrange some medical travel insurance first following predictions of a mosquito outbreak. Health officials have warned people living in or visiting Moreton Bay in Queensland that a recent spate of heavy rain and consequent flooding has provided a fertile breeding ground for the insects. 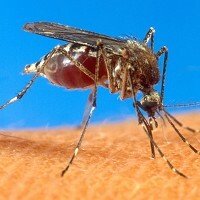 The Murrumba Downs area was highlighted as being particularly at risk, however it was claimed that 1.4 million Australian dollars is spent every year on on mosquito control. Councillor David Dwyer said: "Recent conditions have created ideal breeding grounds for mozzies, with fresh-water pooling in backyards and natural ponds. "Mosquitoes tend to multiply rapidly in the right weather conditions and often there's only a small window of opportunity available to treat breeding hot spots. "While some tidal salt marshes remain inaccessible, council is already targeting known breeding sites near residential areas including freshwater habitats, drains, parks and other waterways."